The Hong Kong International Literary Festival lands in town this week, with a roster of events that will thrill any serious bibliophile, from intimate lunches with famed writers to book signings and readings, and in-depth discussions relating to the genres of crime, sci-fi futures, and cross-cultural identity. 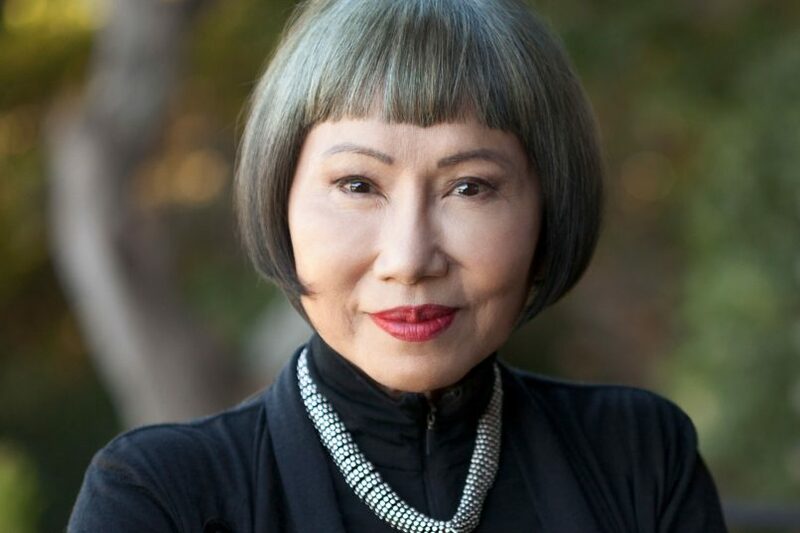 Ahead of the festival, we got a chance to speak to Amy Tan, who is in town to attend a sold-out gala dinner at the American Club, as well as talk about her new book release, Where the Past Begins: A Writer’s Memoir. 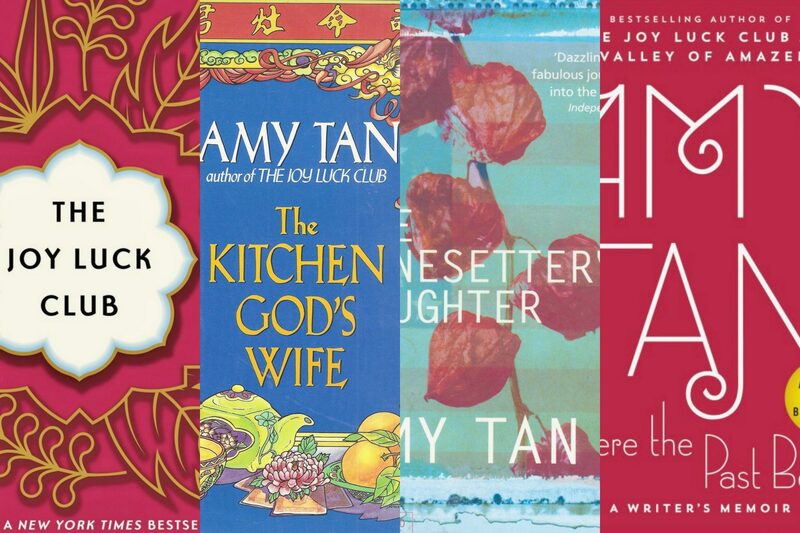 Tan needs little introduction as the bestselling writer of The Joy Luck Club, her first novel in 1989. On top of having her work made into a BAFTA-nominated movie, she is a mainstay on the bestsellers lists with books such as 2013’s The Valley of Amazement, 2001’s The Bonesetter’s Daughter and 1991’s The Kitchen God’s Wife. 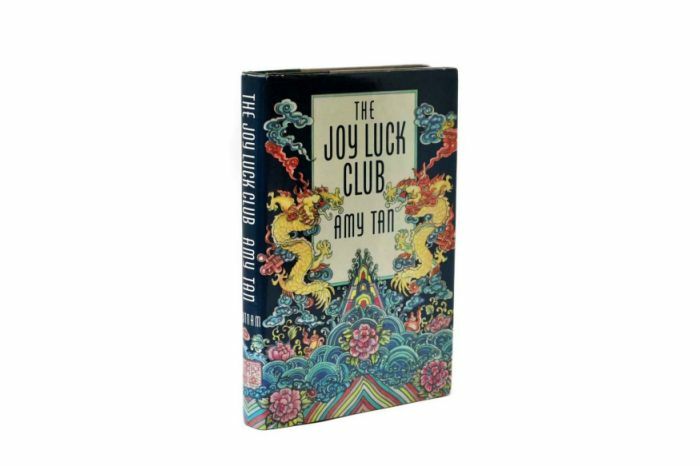 The Joy Luck Club became a trailblazer for the Asian American fiction genre as we know it today, and avid readers of Amy Tan’s books are likely already clutching onto their copies of her new memoir, which digs deep into the memories of Tan’s formative years that later emerged as motifs and patterns in her later novels. We sit down with the accomplished author to reflect on the creative process for her latest work, talk about what she learned in hindsight, and delve into her obsession with being prepared for the worst. 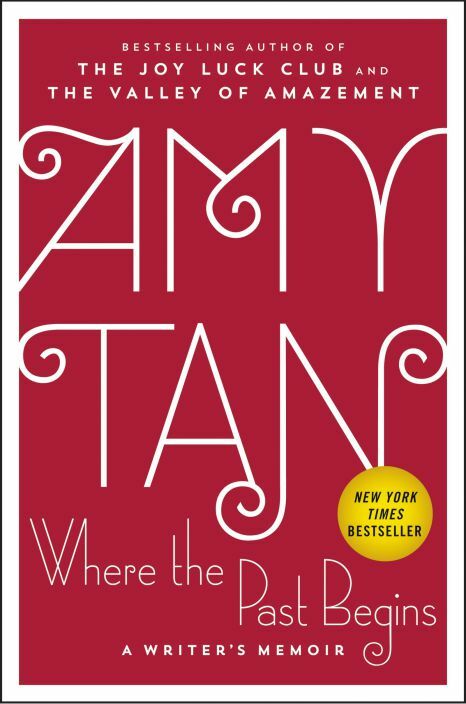 Amy Tan’s ‘When the Past Begins: A Writer’s Memoir is available now for HK$240 from Bookazine stores city-wide. Welcome to Hong Kong -- I’m sure it’s not your first visit here. What’s your impression of the city? Yes, I think the first time I visited was in 1987. In those days you would land in Hong Kong, kind of grazing the tops of buildings, becoming completely immersed in it. I was surprised that first time, how shockingly different it was, but also how surprisingly familiar it was, which had to do with family, it had to do with eating and all its rituals. I’ve been multiple times since. Hong Kong is always a vibrant, exciting place to go, with great food and all these wonderful decadent things to do. Actually, the last time I was in Hong Kong was when all the students were gathered for Occupy Central. I was there with some friends who live in Beijing, and also the designer Vivienne Tam, and we all went to Occupy together. This time, you’re bringing us your latest book, Where the Past Begins, as part of your worldwide book tour. Would you count this as your second memoir, after the collection of essays you published in 2001, ‘The Opposite of Fate?’ Can you share what it’s about? No, The Opposite of Fate was a collection of pieces which I had already written; the collection was put together because I couldn’t write anything else because I had contracted Lyme disease — my brain wasn’t working. This book, Where the Past Begins, is very different. It started off as a book about writing. I thought I would be writing about language or about metaphor — all these highbrow kinds of topics — but I found in writing about all this that I was going back to moments in childhood. I had intended to say, “here’s what I think about language, and here’s an example in the stories that I’ve written.” But that got very boring, very quickly. I had eight boxes of memorabilia surrounding me, and I would pull out things and they would bring up questions. I discovered that so much of my imagination has to do with an emotional core, based on experiences from the past. A very defining one was the loss of my brother and father when I was 15. Or the suicidal threats from my mother throughout my life. But it also had to do with how I survived, how I tried to find some kind of control, and how that has continued in my life and created these patterns that are also in my fiction. Was revisiting your past a way for you to, in a way, rationalise and roadmap the way your novels have come into being the way they did? I think of it more as understanding, and seeing in hindsight, why these stories were important to me. I don’t feel like I’ve come up with any rationalisation or resolution: they weren’t any kind of therapy, and in fact, I found that in writing this book, which came out in an amazingly short amount of time, that it actually disturbed me more than anything. What came out of the writing was very shocking to me. For instance, reimagining what happened when my mother tried to kill herself, and feeling all the emotions I had as a child, I was shaking. I was crying. It wasn’t as if I got it off my chest, no. I got out of it and I remained disturbed. There were so many discoveries that were happening at the time of the writing, it was like a detective story. It was moments that I had never known, like finding out I wasn’t my father’s favourite, it was my brother. Finding out a test I did wasn’t about my family wanting me to be a doctor. Finding out about the educator who put together that test, and later, tracking her down and talking with her. I felt betrayed, disappointed, tricked. There was a lot of sadness and childish anger. However, I can look back at it now as an adult, and I would never want to change any of it, because the cumulative effect of those experiences made me who I am. And to say I wish it didn’t happen is to say I don’t like a part of me. Are you happy with the outcome of this book? There are things in the book that are so raw to me, the writing is actually a little too rough for me. The ritual was I had to write every day, seven days a week, non-stop, sometimes until midnight, to meet the deadline. I wrote a piece a week: 25–30 pages a week, and turning that in every Monday. That’s not how I usually write: usually it takes me months to write 10 pages, and I’ve rewritten it so many times that it’s already very polished before it goes to the editor. This was my way to enforce spontaneity, to see what would happen, and to have the sense of not being able to censor yourself. For some reason my editor didn’t find a lot to change in the overall writing this time. I saw the flaws though. I had to do the audiobook and I was squirming through it, thinking “this is horrible!” The great thing about deadlines is that they can often force things out that are better than if you had months to write the same thing, but I would die of a heart attack if I had to do what I did with this book for the rest of my life. Do you think you’re your own harshest critic? I don’t read my own books — I hate re-reading anything I’ve written, because number one, I do find flaws, and number two, it disturbs me that I don’t recognise a lot of what’s there. I used to gnash my teeth when I had reviewers who trashed my book, and I couldn’t stop thinking about it. Then I thought, I shouldn’t even read reviews, the whole purpose of writing has to do with what’s important to me and what I discover. At the end of my life, or if there’s an afterlife, that reviewer is not going to be there. Will readers know you inside and out after this one? This book is about my mind as a writer, and why I write the things that I do, how I write, and what my imagination is about, what my obsessions are. So yes, I think if people read this they would know me much, much, better, not only as a writer but as a person. I hope that as the years continue there will be more discoveries — and it might change what I’ve written here. A lot of people think what I’ve been writing all these years is a topic called ‘mothers and daughters,’ I hope they will see that it is based on something that is much deeper than that. Did you ever feel misunderstood with being classified as ‘that writer who writes about mother-daughter immigrant stories’? I didn’t write to help other people, I selfishly say that. But no one’s really going to understand all the reasons why you write. As with any writer, not just me, they’re going to be categorised in a way. What matters the most is what I get out of writing, and if people can relate to a story about mothers and daughters, how great is that? People have told me they improved the relationships with their own mothers after reading my book, I think that’s wonderful, but I can’t take credit for it. I also don’t take fault! Someone told me once, “I divorced my husband after I read your book!” Um, I wasn’t trying to break up marriages! But it makes me very happy when people tell me these things, especially daughters say that they were able to have a reconciliation with their mothers. 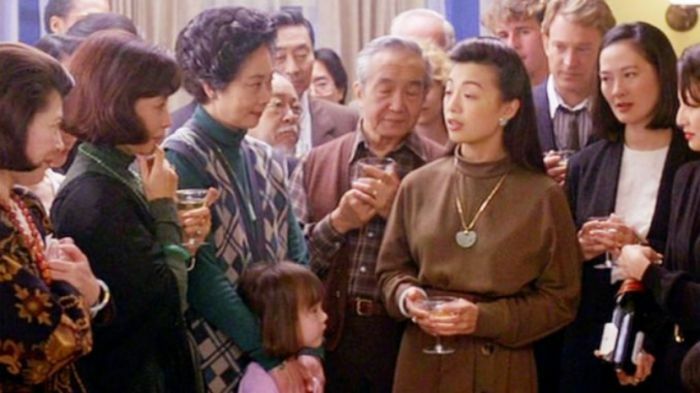 Did writing The Joy Luck Club change your relationship with your own mother? Did writing this book? Absolutely. When I sat down to write, and I said I wanted to hear more of everything she had told me, she was so delighted I would want to know. I wrote things that were not that flattering, but it was the truth. She saw that it was real and what our relationship was based on. Then she wanted me to write the next book all about her and her whole life — that was The Kitchen God’s Wife. That’s how much she trusted me. My mother has passed away since, but there were so many times throughout the writing of Where the Past Begins where I wished I could just reach out and give her a hug; or say to her, “now I understand why you were so lonely.” The writing of this book, if anything, it made me more sympathetic of my mother. I could see more of where she came from. The past seems to be a constant source of inspiration for you. Does the future concern you in your storytelling? It really isn’t how my mind works because I am so interested in this question of identity, and how I became who I am. In fiction, I can delve into it as much as I want to, a world constructed around my past. The future is not part of that, though I think of the future and the possibilities. The pivot point is death. People think it’s negative. But I think it’s great to have a realisation that your life will end, and all of this accumulating up to that point adds a certain kind of meaning. A lot of things that I decide these days has to do with how our lives don’t continue forever. It’s a grim thought, people think, but I love to prepare for things. Not in a negative way, but just so I don’t have to worry about it. I have a house that I can continue to live in, even if I’m in a wheelchair. It’s built for accessibility, with big open spaces, sliding doors, the towel bars are all grab bars, it has an elevator, there’s level access to the outside. People call me pessimistic, but when I’m 100, I don’t think I’ll want to carry luggage up and down the stairs! With all the traumatic events that have happened to you -- and to your book characters throughout the years -- you seem to be very content and optimistic. Is that true? I think of myself as a very happy person. I have my share of worries, but there’s nothing that is paralysing. I think part of it is — as I grow older — is knowing what’s important. I’m not always happy when a book is getting published. It should be a celebratory time and yet I kind of dread it, which I just have to get over. I would much rather be private: drawing, reading, or working out at the gym. That’s my daily life. This, talking to people about myself — It’s actually very alienating to talk about myself publicly. I’m the kind of person who would go and find poisonous snakes — I just made a plan with a herpetologist to go to a place and be among long-horned cattle, snakes and bats. I’m not so scared of death that I wouldn’t go and do something like that. If I really wanted to scare myself, I would swim with sharks, because any creature that looks at you is an pretty amazing thing: it’s a connection. I’m not going to jump out of a plane with a parachute, that’s not interesting to me. Nature is a huge part of my life now. It’s something that’s been important for a while, and it’s become even more important to find beauty in the world in the present (especially after the US elections that left me in such despair). One thing I love to do when I’m at home in Sausalito is every day I go out and — I have a hummingbird feeder — I stick my hand out and the hummingbirds come and they feed right out of my hand. It’s so cool; if there’s that anything that will make you happy, that’s it. I took a class in nature journal-drawing, and drawing was something I loved to do as a child. It was terrific. Drawing has been very good for me in thinking I don’t have to be perfect. That’s why I’ve put up things that are not that great, but it’s to let go of that need to be perfect, and to just enjoy the process. Any new fiction in the works? I am writing a book where the structure and a lot of the story came to me in a dream. And I was really happy, because the dream included the setting, the opening, the characters and some of the complications. When I woke up, I thought this was one of those dreams where you think you come up with something clever, and you write it down and it’s garbage. But I wrote this down very quickly and it made sense, so I was happy. I can’t tell you anything about it yet though, because I have to suppress the public self-consciousness that would stifle the writing. I’m hoping for it to be ready in a couple of years.